Riley: Thank you for agreeing to do this interview, Mr. and Mrs. Adkins. My first questions are for you, Mrs. Adkins. Cara: You can call me Cara, Riley, and thanks for having us. Riley: I’d like to know what happened, in your viewpoint. Why was your daughter Mara so mean-spirited towards all those men? Cara: Without God in the middle of a family, there isn’t much hope. I think there were a lot of factors in this situation. I’m not here to play the blame game, but I have to accept some responsibility for part of the problem. (sighs) We’ve all come to the Lord and we are forgiven. Thank goodness for His Mercy and Grace. Riley: Seems like God brought all three of you through a lot of issues. Cara: Yes, by the time Mara left for college, her father and I were ready to call it quits. We planned to file divorce papers after she left home. Riley: I’m so glad you didn’t do it. Mara’s so changed. What exactly happened to all of you that set off this chain of events? Cara: Old friends called from out of town one day and wanted to visit with Dane and me. They had become Christians and they were able to answer many of our questions about God and life in general. They backed their opinions with Scripture and prayed with us to accept Christ as our personal Savior. Riley: What did they tell you that seemed to be the most important thing during their visit? Cara: That’s a great question. God is a provider, not a divider. A house divided against itself cannot stand and the enemy of our souls does not like good marriages. Dane and I have been married a long time and we have gotten through a lot of tough circumstances. I believe when we learned that every Christian has challenges, we weren’t the exception. We were relieved to find out that we weren’t the only people or couples that have problems, they are part of life. Problems, I mean…are a part of life. Riley: Did you and Dane join a Bible Study Group or attend church activities to help? In other words, a good group support system? Cara: We attended a couples’ weekend, specifically Marriage Encounter, where couples can strengthen and renew their marriages. The retreat offers a tool for communicating. However, it works both ways. If both parties are willing to “work,” I mean really “work” together through their personal lives and marriage, it’s an excellent tool and we recommend it for all marriages, don’t we Dane? (Glances at Dane for affirmation. He shakes his head with a big smile. “Yes, we do, dear. As a matter of fact, Riley, we are now a team couple leading the local Marriage Encounter group.” Cara turns her attention back to interview) Yes, that’s right. Riley: What about Mara? She’s an adult now. Were you glad she came home after almost five years? We stated praying for her immediately and giving our precious baby to Christ to help her. Riley: Do you really think she did the right thing by going all over the country to apologize to these men? Cara: Yes, I do. She was obedient to what God asked of her. She learned a lot about repenting and forgiving. And even as she drove, the Lord had her undivided attention, and she told me, it was in those quiet times, she learned to forgive herself. Riley: I didn’t think about that, forgiving yourself… So is she free now of her demons? I know that’s a pointed question, but readers will want to know. Cara: I’ve never seen our daughter happier. Yes, she’s totally free in Christ and she successfully reached out to each man she hurt. Not all the men understood, but she’s accepted where they are…and prays for each one–– (voice breaks, due to emotion). Riley: I’m sorry, Cara. I didn’t mean to upset you with my questions. Cara: (Dabbing her eyes) Oh no, Riley, these are tears of Joy. Our Mara is a sparkling new person, inside and outside. Dane and I are thrilled with the healing of our little family. Mara has found love and happiness. We can’t wait to see what the future holds. Riley: Thank you so much for sharing your heart, Cara. It looks as though you two have a wonderful ministry together. Riley: Dad, what do you think about all this? Dane: Excuse me, Riley, but I’m not comfortable with you calling me Dad. You’re every bit as old as I am. Dane: I’m just joshing you, Riley. If you’re asking what I think of my daughter, I love her. I’m very proud of her, and I’ll support whatever decision she makes. Riley: Of course. But now that you know some of the things she did in college to those poor, unsuspecting geeks. This cruel game she payed, along with her sorority sisters––as a man, how do you feel about that? Dane: I don’t feel anything about that, Riley. Mara is not the same person she once was. She’s been forgiven. Riley: (Clears throat) Oh, yes, I know. Your wife just told me about how Mara traveled all over, making apologies and most of the men forgave her. Dane: No, you misunderstand me. She’s been forgiven, whether those men forgave her or not. She has God’s forgiveness. Riley: Right. So you’re convinced she’s changed her ways? Dane: Absolutely, she has. And let me tell you, Riley, with God’s help, she’s turned her life around. Riley: From what I hear, you and Mrs. Adkins were a part of that turnaround. You were here for her, when she needed you. Dane: Riley, God healed our broken marriage, and here’s the best part: once we were walking in His healing and love, He sent our broken daughter back to the nest. Because of what we’d been through, we were able to give her the guidance she needed, the love and acceptance she craved. Riley: And you now believe she’s this new person? You trust her to straighten up and fly right––to never damage another man’s heart? Dane: I do, Riley. I know she’s a new person. I see God’s love shining out through her beautiful eyes. (Grins) She has my eyes, don’t you think? Riley: She has your sense of humor too, Dane. Dane: Well, that’s a good thing, right? Riley: Absolutely. Thanks, Dane and Cara, for giving me a bit of your time today. I hope you’ll like the article I write about you and your daughter, Mara. Dane: I hope our story encourages others to trust in God’s forgiveness. And if they live in the area, check out our Marriage Encounter group. If you’ve been keeping up with A Dozen Apologies, you’ll know the voting has ended for the readers’ favorite hero. Our editor is busy working to get the final project ready to release as a FREE ebook February 14th–16th (Valentine’s weekend). What a wonderful gift to give yourself––a fun read. I will supply you with the link here on my blog or you can go to Write Integrity Press. If you would like more information about forgiveness and God’s love for you, please contact me via the contact tab above (private message). *Southern Christian Magazine is a fictitious magazine for this post. Any likeness to any real magazine (or reporter named Riley) is purely coincidental. Paulette Harris has two wonderful children and five awesome grandchildren. She still lives with her original husband and two cats. Both business and social work have opened her eyes to humanity and produced a desire to help others. Battling injury and illness while raising a family and dealing with a deep personal grief have finally led her to write as a way to help others face similar, seemingly overwhelming obstacles in their lives. Writing has become her passion. It’s her sincere wish and prayer that her work will be of aid to readers. Paulette offers services as an author/speaker and encourager of God’s Word, through her company, Wordburst. You can find more information about Paulette and her work at http://pauletteharris.com/. 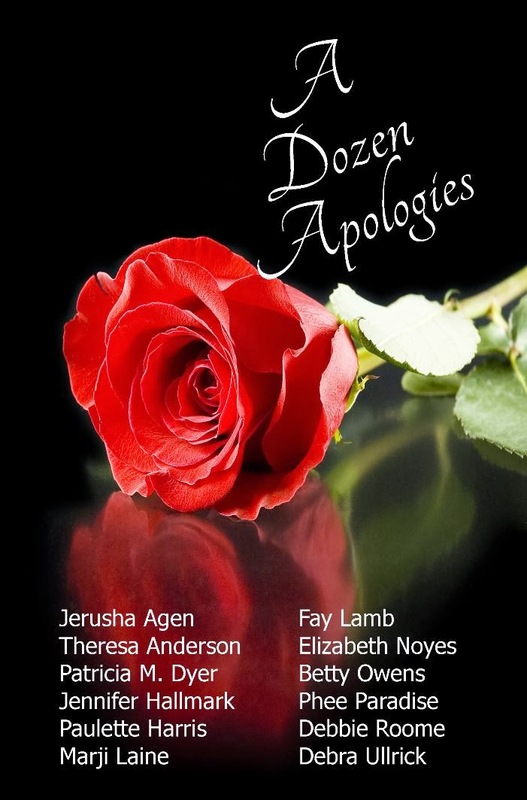 A Dozen Apologies is a collaborative novella soon to be released by Write Integrity Press. Paulette and I are two of twelve authors involved. 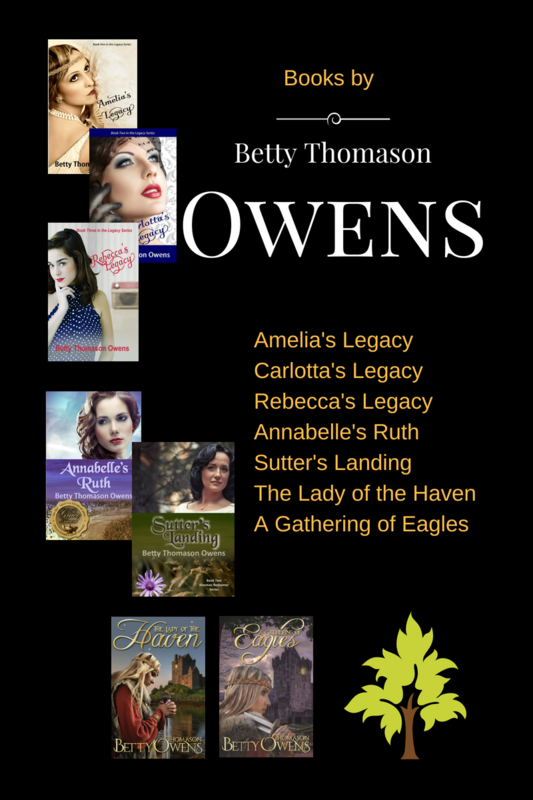 It has been my great pleasure to work with such wonderful authors. Just when I think the creative sponge has been wrung dry, you all surprise me. Then I realize our God is constantly creating. That spurs me on! Thank you, Theresa, what a nice thing to say.